Three families and the John Rollins Success Primary School community have been plunged into mourning as a motor vehicle accident along the Rose Hall main road in Montego Bay yesterday (Tuesday, November 13) claimed the lives of two young students and the driver of the ill-fated motor car. Three other students, who were also in the vehicle, sustained serious injuries. The deceased have been identified as Kevin Hamilton, the driver, eight-year-old Tiana Thompson and six-year-old Latisha Williams. The three other students, including the young son of the driver, who is in critical condition, have all been admitted to hospital. The children and the driver are all of the Providence Heights community in Montego Bay. 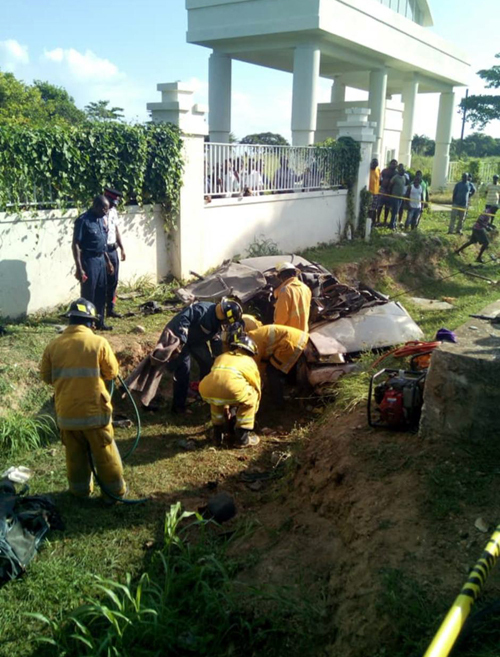 Reports indicate that about 7:50 a.m., Hamilton, who was a security guard employed to Marksman Limited, was transporting the children to school and was travelling along the Rose Hall main road in a Toyota Camry in the direction of Lilliput, when the vehicle veered off the road and overturned into a ditch in the vicinity of the playing field at the Hilton Rose Hall Resort. The children and the driver sustained multiple injuries. The children were removed from the vehicle by passers-by and transported to the Hospiten (private hospital), while Hamilton, who was trapped in the vehicle, was reportedly removed from the wreckage by firefighters using the ‘Jaws of Life’. The injured children were later transferred to the Cornwall Regional Hospital. Letoya Cunningham, the mother of young Latisha, who was early at Hospiten, wept openly at the news of her daughter’s death. 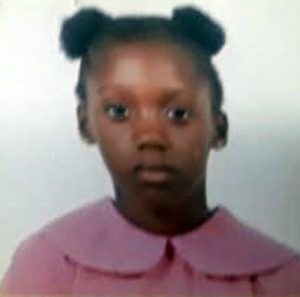 Cunningham related that her life has been one of tragedy and sorrow as she has so far lost both parents and the father of her daughter and now her daughter, as she burst into tears. 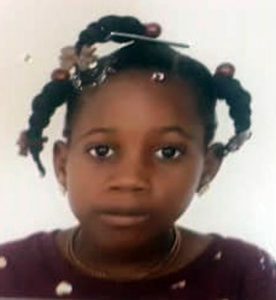 Cunningham said her daughter told her on the weekend that she wanted to go to the beach with her friend Tiana (the other child who died), insisting that they both had a hundred dollars, so Cunningham said she advised her that it would not be enough. She said she made plans to take her on Saturday, but now those plans will never materialize. Cunningham says while she has a son to live for, with everything going badly for her, she feels like she wants to die. Meanwhile, teachers and students at the John Rollins Success Primary wept openly on Tuesday, when news of the tragedy struck. Yvonne Miller Wisdom, Principal, said it was a very sad day for the institution, noting that the students and teachers were shaken and though she wanted to cry, she had to remain strong for the others. “It’s hard for me to internalize what has taken place but as the principal, I want to cry but I can’t break down as I see people breaking down around. I have to be strong for everyone,” she disclosed. She lamented that this was the second accident in which student died from the school, recalling that in 2007, a student was hit and killed by a minibus.